Sperry’s Customer Appreciation Event, sitewide discounts at Journelle and Kate Somerville, and more lead Friday’s best lifestyle deals. When it comes to handling breakouts, I’ve been really into EradiKate. It smells horrible, but it really freakin’ works. Right now, grab 20% off the entire Kate Somerville site with the code 20FF17 for the Friends & Family sale. Pick up some really great skin care for a lot less than you would pay at Sephora or elsewhere. You know what makes a really great gift? Perfume. You know what you probably need to buy more of for yourself? Perfume. Nordstrom Rack has some serious sales on fragrances from Gucci, Burberry, Marc Jacobs, and more, so it’s time to stop and smell the savings. In a world where bra shopping feels more like a slow form of torture than anything remotely resembling an enjoyable experience, Journelle is a salvation. The lingerie they make and carry is beautiful, and it carries up to M in cup size. Right now use the code FNF2018 and you’ll get 20% off everything sitewide, including sale items. The warm-ish weather is finally starting to become the norm, and that means breaking out of your boots and into something a bit more lightweight. Sperry is here to help you out with 30% off over 85 styles, including their classic boat shoes, sneakers and more, no code needed. Bralettes are a lazy girl’s best friend when it comes to being comfy and covered. Aerie is having a sale on all bralettes and bras, in basically every style you could think of. Grab 40-60% off bras, bralettes, sports bras, and more. Plus, there’s a 7-for-$29 sale on all seamless undies going on, and a 10-for-$35 sale on cotton, lace, and Shine styles as well. American Eagle is a really great place to stock up on wardrobe staples like t-shirts and tanks, especially when they’re on sale. Right now, all tops are buy one, get one 50% off, no code needed. Just add two of your favorite styles (or more) and see the discount when you check out. Update: Now an extra 10% off with the code FURTHER10. Spring is here and ASOS wants to make sure your wardrobe is prepared. With up to 60% off an unbelievable amount styles to help get you ready for the new season, it’s going to be hard to let your shopping bag stay empty. There are over 10,000 dresses on sale (seriously), so it’s unlikely you won’t find anything. It feels a little weird to say this, but Banana Republic has gotten real good. They straddle the line of business casual and trendy streetstyle and it’s kind of great. And if you’ve noticed too, it’s the best time to take advantage of it because they’re giving an extra 40% off all sale styles, no code needed. Maybe it’s time to give BR a little more respect. Right now, GAP has a huge sale where a ton of stuff is discounted up to 70%, which is great, sure. But use the code OURTREAT to get 20% off your entire purchase. This has the usual long list of exclusions, but if you love something, you should definitely take advantage of it. Pick and choose your swimwear from Urban Outfitters’ in-house brand Out from Under, and get 25% off, no code needed. They have a ton of options from one-pieces that look like works of art to all the high-cut, Brazilian bottoms you’re all of a sudden seeing on Instagram. If you don’t know about Dallas-based Breda, you need to. The watch brand creates minimalist, easy-to-wear styles of watches that aren’t overworked or over priced. And we’ve got an exclusive discount for you. Use the code MOM35 and grab the Agnes, Baer, and Joule for 35% off. Note: The code works for any regular-price watch as well. Dallas-based Breda makes great, affordable watches that don’t skimp on style or variety. 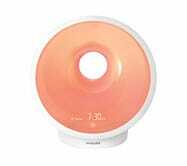 In addition to the cool, donut-like design, the high end Philips Somneo includes tons of lighting options, built-in white noise, a breathing relaxation mode that you can use when going to sleep at night, a USB charging port for your phone, and a bunch of wake-up sounds. The best feature though? <Music from a heavenly choir rains down from the sky> An eight hour battery backup so a power outage won’t mess up your alarm! Finally! Amazon’s marked it down to $143 today, an all-time low. On the other end of the spectrum, the entry-level HF3500 is also down to $45, from its usual $50. The model only has one alarm, one color of light, and no battery backup, but it’s the one that’s been on my nightstand for years, and it gets the job done. OxyLED added a set of hooks to its smallest motion-sensing stick-anywhere light, which makes a ton of sense. 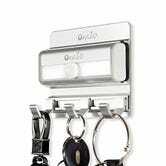 That means you can easily hang your keys by the door when you get home at night, or hang up belts in a dimly-lit closet. Use promo code E7VL88AS to get it for $10. It’s 2018, and your lighter doesn’t need fuel anymore; it just has to charge over USB. This discounted arc lighter isn’t really pocket-friendly, but its long, flexible neck makes it ideal for lighting candles, camp fires and other awkwardly-placed flammable things. 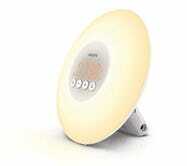 Just charge the built-in battery, and you’ll be good to go for up to 1,000 uses before you have to plug it in again. Get it for $12 today with promo code DDL9LEJG, matching the best price we’ve ever seen. 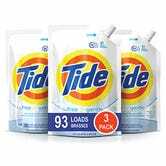 For a limited time, Amazon will sell you three pouches of Tide HE-compatible Free & Gentle laundry detergent (totaling 144 ounces or 93 loads) for just $14. These pouches are designed basically as refills for plastic Tide bottles, but as long as that doesn’t bother you, this is a fantastic price-per-ounce for any detergent, let alone name brand. Just be sure to clip the $3 coupon on the page and use Amazon Subscribe & Save. Pick up one of the coolest Star Wars toys this side of Tatooine for just $70, today only. 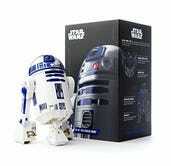 The Sphero R2-D2 is basically your own personal droid that you can zip around and bother people, like Artoo does IRL. And, like any good Artoo unit, it’s certified refurbished. Just be on the look out for any Jawas looking to make a quick Credit. If you still have rooms in your home where Alexa can’t hear your commands, you can fix that today with a slate of certified refurbished deals. The entire audio-only line of Echo speakers is on sale, from the tiny Echo Dot, to the portable Tap, to the standby Echo, to the smart home-friendly Echo Plus.